Had a shoot a few weeks back for Chalk Magazine. The venue for the shoot was at a new studio so I wasn’t really familiar with the place. I got lost for TWO HOURS!!!!! Imagine how frustrated I was. Thank God the Chalk team and my co-bloggers were really understanding. 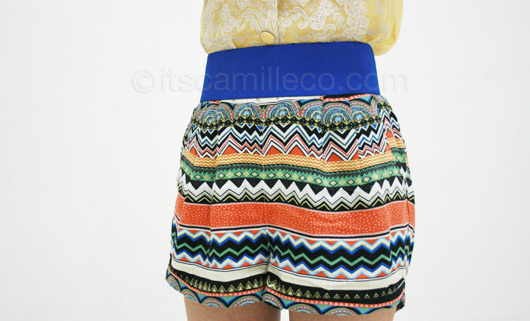 I’ve been looking for tribal printed shorts for the LONGEST time so imagine my excitement when I found these online at OhMyFrock.com. Oh My Frock is an online store based in Hong Kong. They sell many affordable and fashionable pieces such as these shorts. 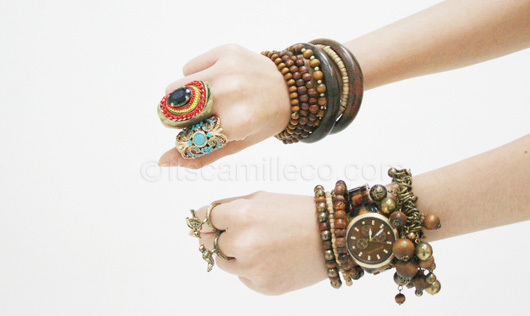 Their stuff remind me of the clothes I usually buy from my “secret shopping places” in Hong Kong. If you want to check the store out, click here or check out their ad on my sidebar. Special thanks to the people from Oh My Frock and Thundersmack Shop.